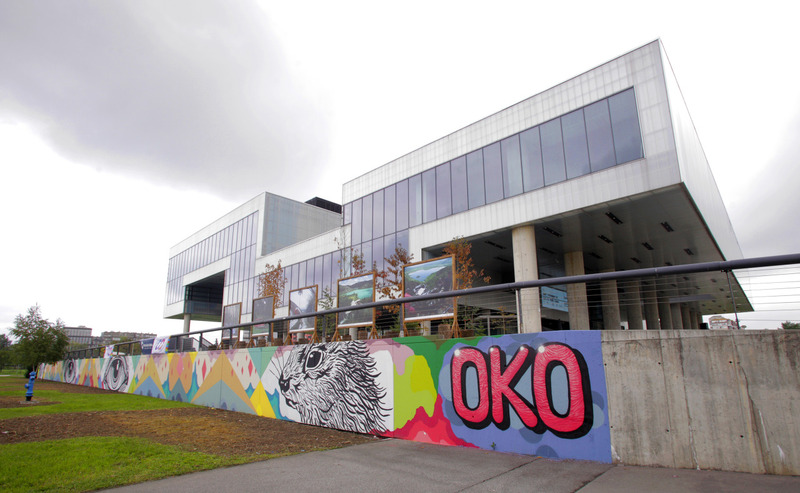 After painting for several weeks, the artist OKO covered the wall of MCA (MSU) with the mural painting called “Open My Eyes That I May See”, which will be overlooking the entire area of the crossing of the Dubrovnik and Većeslav Holjevac Avenues. The title of the mural, according to the artist, refers to the power that art exudes in widening our horizons: it enables us to look at, and truly see, that which we sometimes go to lengths in order to avoid. This role, as an art sanctuary, has also been taken over by the Museum, which constantly strives to inspire each individual to question their own perception of the world around them. 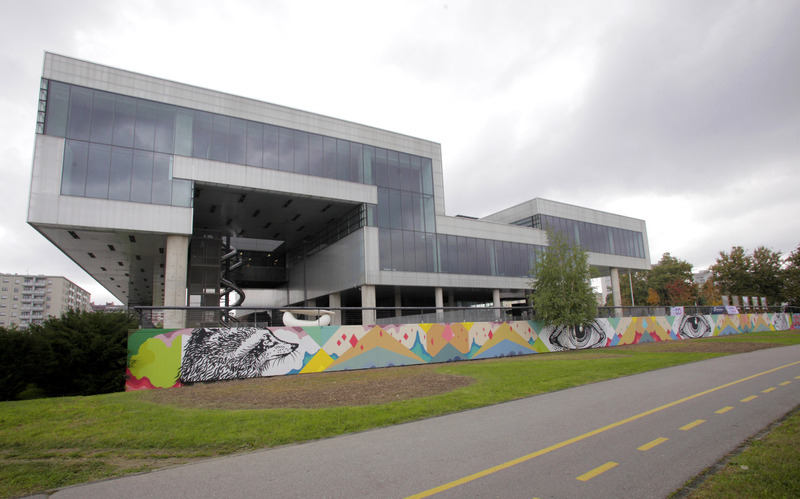 The location and size of the mural will expose it to the daily glances of a wider audience, hopefully affirming street art as a legitimate part of contemporary artistic production and a worthy piece of the cultural legacy of our time. 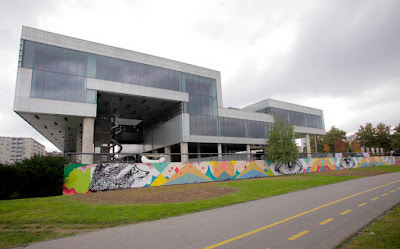 Upon its completion, the mural will become a part of the official collection of paintings of the Museum of Contemporary Art, opening the Museum up to a new audience by presenting an artwork which is continuously visible and accessible to all, and understood by everyone. 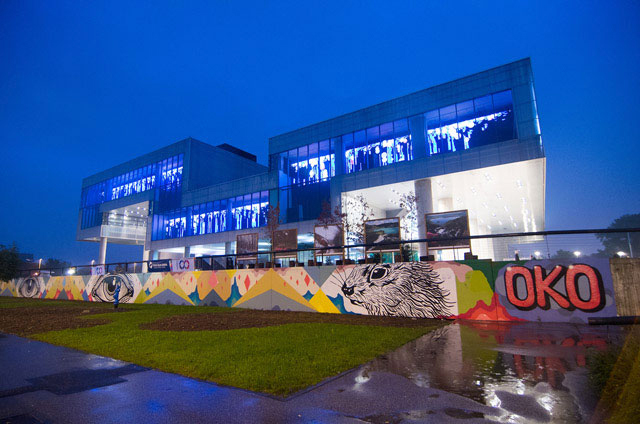 Since relocating to a new building, and a new neighbourhood, in the year 2009, the MCA has continuously strived to connect and communicate with its new environment. The painting of the western wall of its plateau will incite interaction with passersby, a tradition begun by exhibiting artworks in the open, some of which have become a symbol of the Museum of sorts (for example, “The Double Slide” by Carsten Höllera, “The Eyes of Purification” by Mirosław Bałk or “The Shape of Space” by Ivan Kožarić).